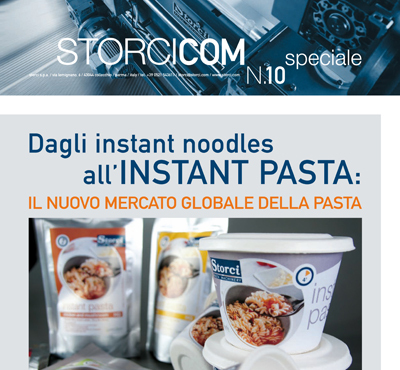 The latest issue of our magazine is now available.. where this year you can read all about Storci's latest innovation in the feature on instant pasta. Instant pasta is a healthy and tasty product which is ready in an instant! Simply add boiling water and eat it wherever you want: at school, at work, when camping.... read all about it!